Inspired by a mariner's timepiece from centuries ago, this clock is nestled in a handsome, paneled solid hardwood case hand finished in rich mahogany. This precision quartz movement timepiece features a forged solid brass case that pivots for easy viewing. Solid brass hinges and a brass button latch ensure this superbly crafted clock provides years of enjoyment. 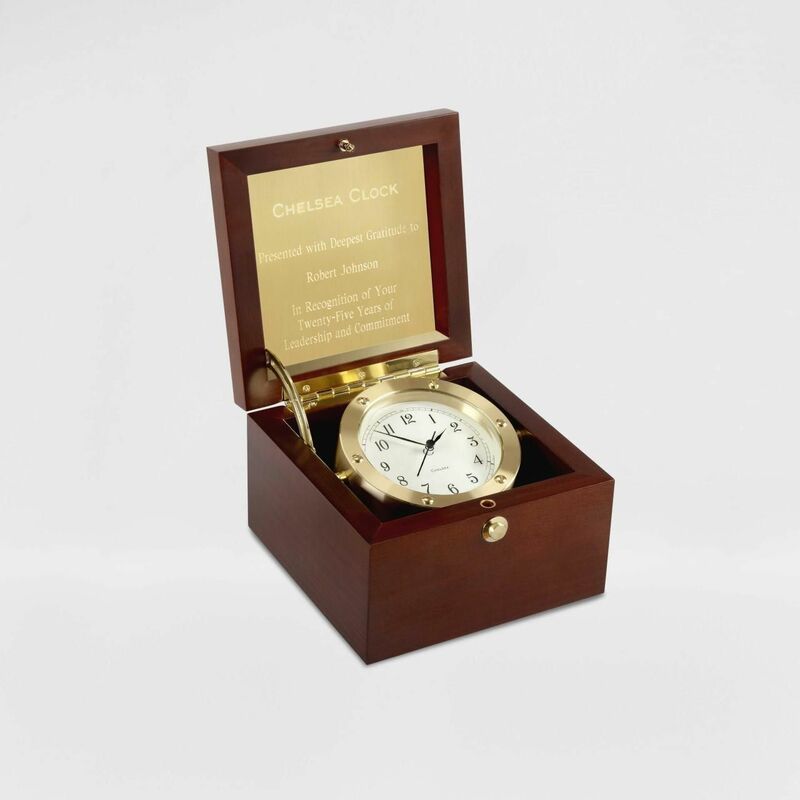 The Boardroom Clock comes with a complimentary square brass engraving plate for inside lid mounting.